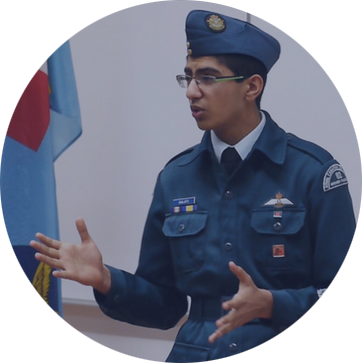 The Effective Speaking (ES) program provides opportunity for Air Cadets to find their voice and build self-confidence through practice, instruction, and competition. Annually, top speakers at the squadron level compete at the regional ES competition. During the provincial ES competition, the top regional speakers deliver prepared speeches and most excitingly, speak off-the-cuff like pros.